As you probably know, I’ve just finished up Crafty October on my blog where I shared lots of Halloween ideas. Whilst it is officially over, I do actually have a couple more posts to share with you! 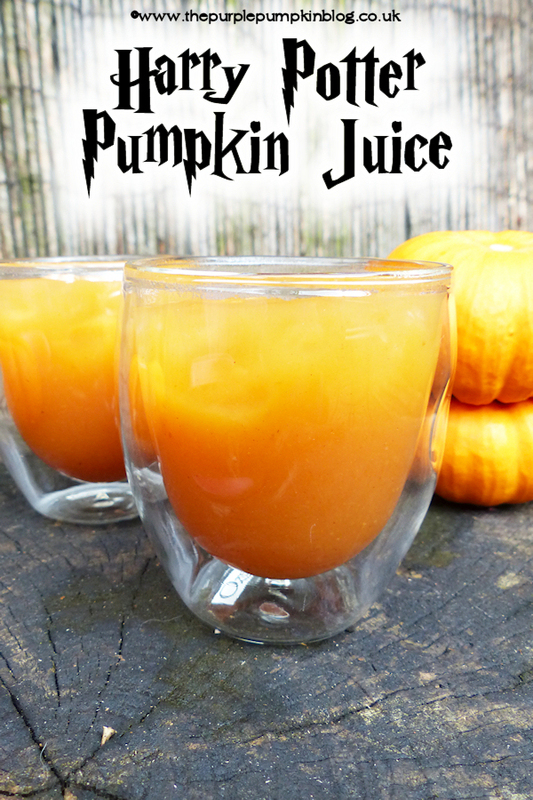 The first one today, is for a copy cat recipe of the Harry Potter Pumpkin Juice that you can buy at Islands of Adventure in Orlando! I LOVE this stuff, but at $6.50 a bottle (plus the fact that it’s all the way over in the USA and I’m here in the UK) means that I have had to try and re-create the recipe at home, and I have managed to do it! Mine is less sweet than the ‘real’ pumpkin juice, but tastes so similar, that I think the only difference is the sweetness. I am glad I don’t have to wait months, years even for my pumpkin juice fix! I read many different recipes online all with different ingredients, some of which were tricky for me to source – like apricot nectar…O_o so I bought a carton of Innocent Peaches & Apricot Smoothie and that worked a treat! Pour the apple juice, smoothie, vanilla extract, pumpkin purée and 1 tsp of the pumpkin pie spice into a blender and blitz until all incorporated. Add some honey to sweeten to your taste, add more spices if you want more of a spice kick. Pour into a serving jug and chill until required.